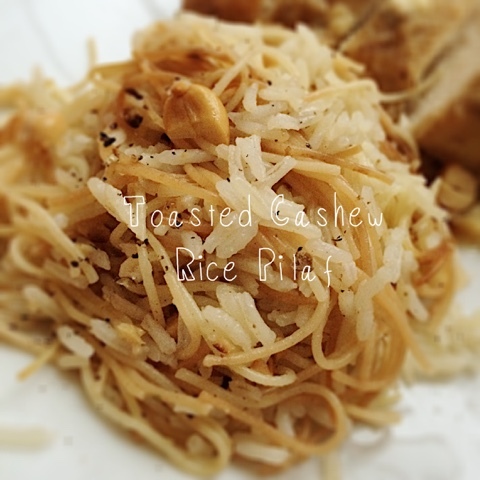 Pilafs are awesome for college cooking and off-campus living--cheap ingredients, quick to make and little skill needed! Better yet, most of us have the essential ingredients in our pantries at all times, i.e. 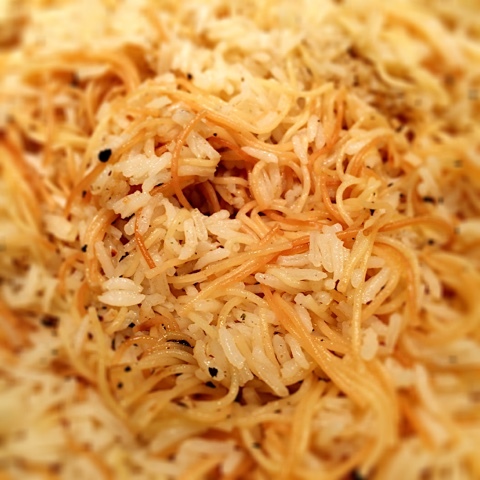 rice, spaghetti, bouillon, butter and a partial, half-used onion somewhere waiting to be used up! 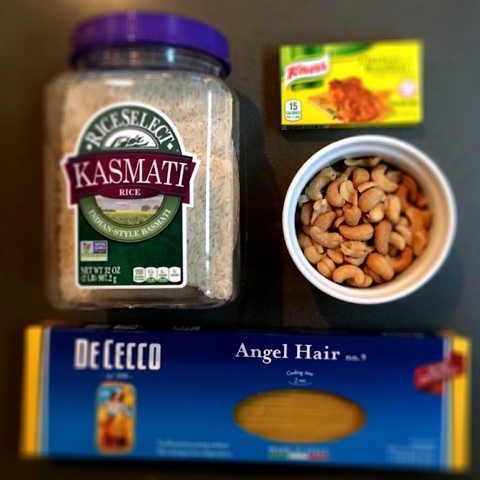 How many of you have made partial spaghetti or angel hair pasta and are left with a half box of pasta; or, cut up only half an onion--well, here you go to leaving no waste behind!! This is one way to make rice taste completely different while using up any leftover ingredients sitting in your pantry or fridge!! Being frugal in college with your budget means figuring out how to use every item on your grocery list so that nothing goes rotten or spoiled!! 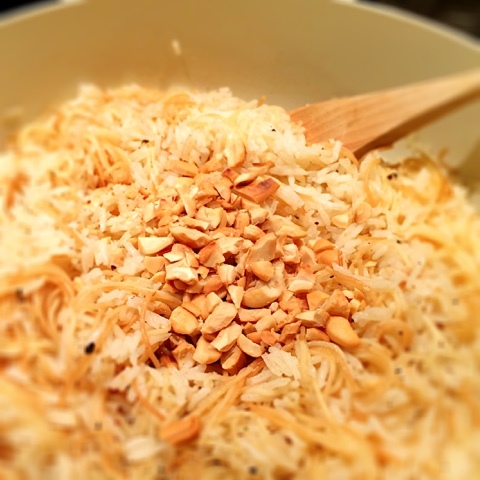 Spaghetti in a pilaf dish is typical for Armenian-style pilaf and the flavor profile is further enhanced if you can use a basmati-rice…but, if all you have is a regular long-grain white rice…this will do! 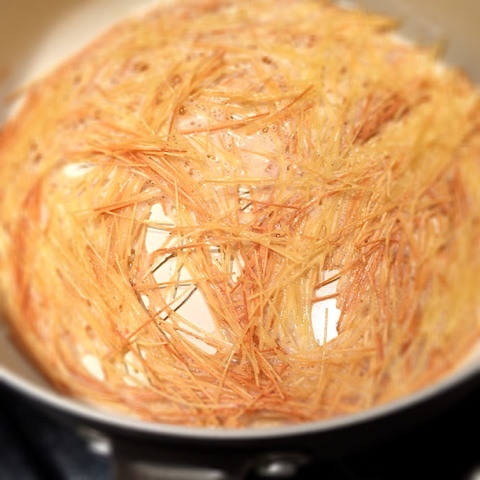 Do not delay if it means waiting to try this simple recipe as a side-dish tonight! 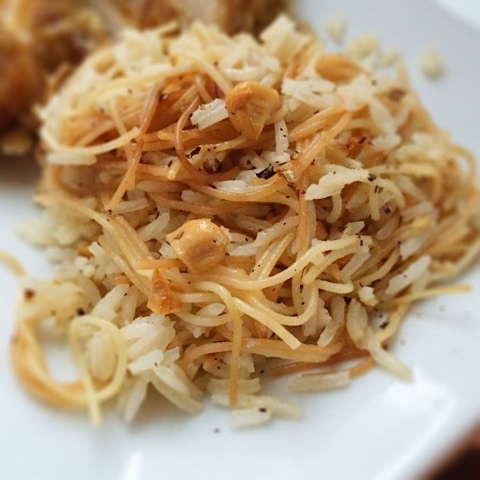 The original recipe calls for hazelnuts, but I them bitter and felt that cashews lend a warmer, buttery flavor to the dish. I would also consider adding thinly sliced green onions to the dish right before serving…just because! 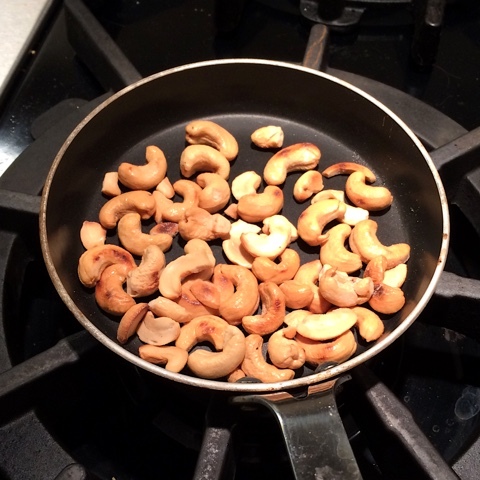 Small skillet to brown cashews or briefly toast them in a toaster oven. 2. Prep the ingredients, i.e. 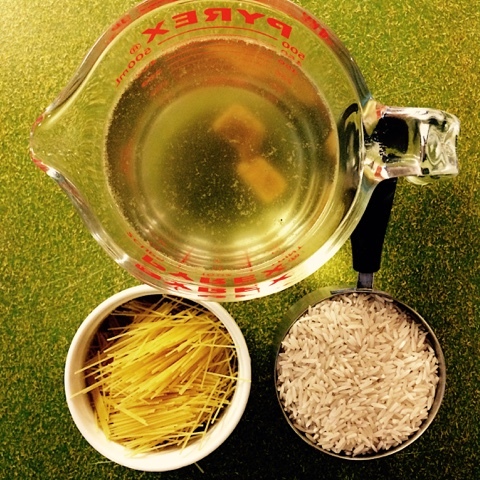 break the spaghetti, prep the broth, measure rice. 3. 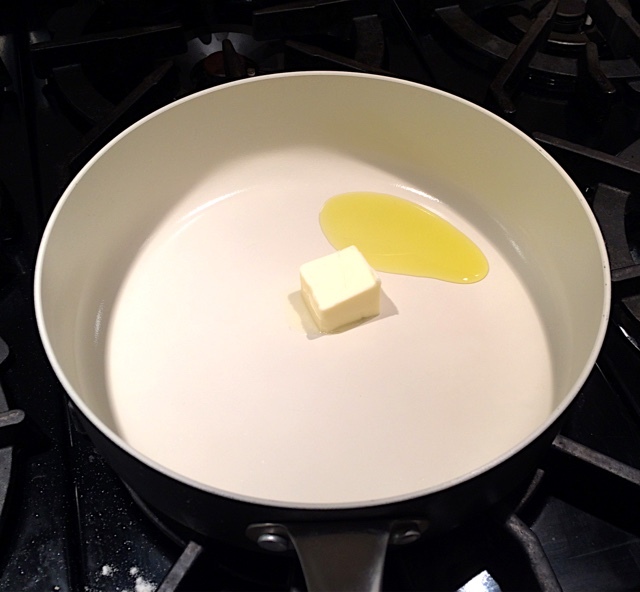 Heat the butter and oil. 4. 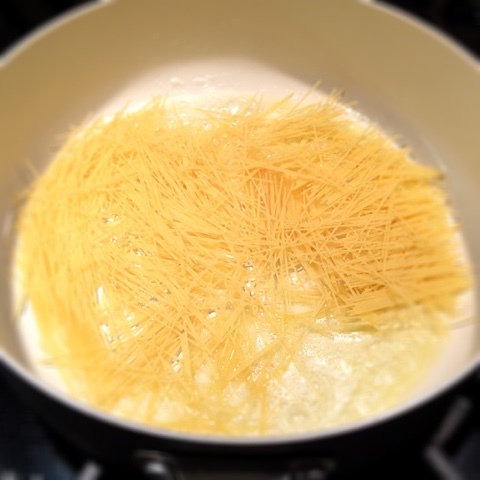 Add the spaghetti once butter is melted and cook for 3-4 minutes until golden brown. 5. 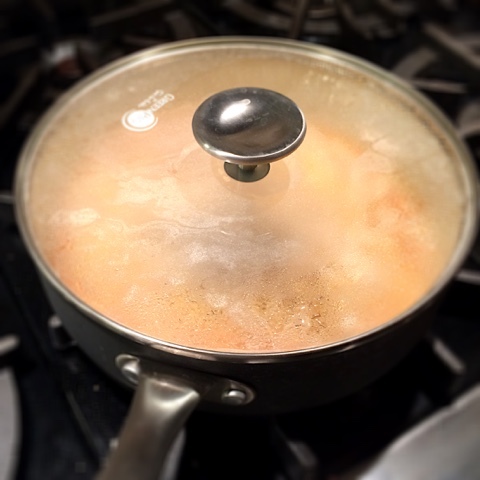 Add rice, chicken broth, 1/2 tsp salt, and pepper to the pasta and stir. 6. 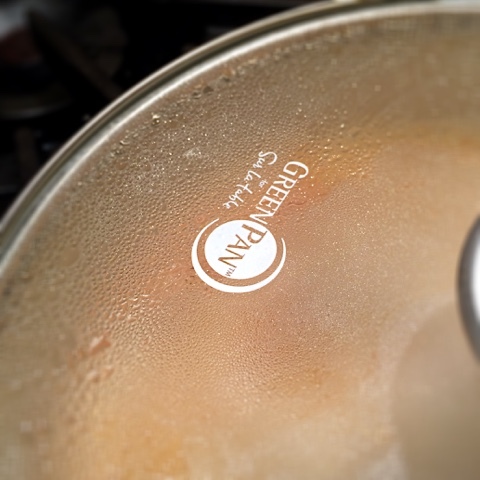 Bring to a boil and cover with a lid. 7. 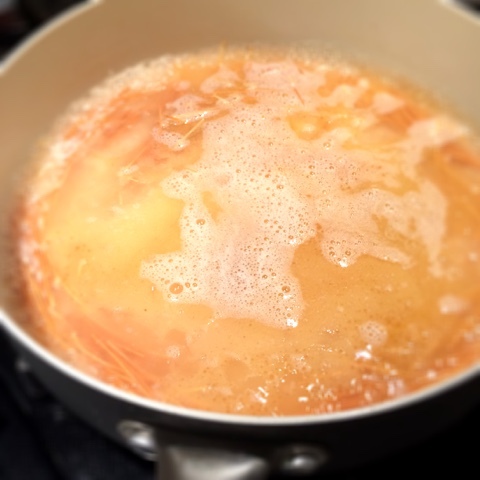 Reduce heat to simmer and cook for appox 15 minutes until the liquid is absorbed. 8. 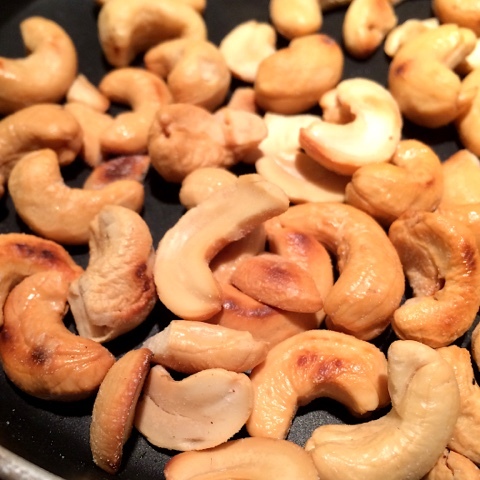 While rice is cooking, toast your cashews and chop. Watch carefully!! 9. Fluff the rice with a fork. 10. Add cashews and green onions right before serving. Great addition to fish or chicken and there is nothing more comforting than a bowl of rice pilaf at the end of the day…all by itself!